Considering purchasing a rack in the near future for your new or used car or truck? Whether you are an avid traveler or only get out on the weekends our top 10 list can help you find the rack that's right for you. Ski and Snowboard racks- Most ski and snowboard racks can vary only in terms of either open or closed setups. Open setups make you have to store your winter accessories inside the car, whereas closed setups are more accommodating. Sliding racks- Though set up is fairly basic, what you might purchase will vary greatly depending upon what you need the rack for. 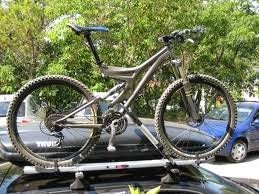 Racks that come standard with most vehicles have a very light load capacity; maybe 100-200lbs at best. Beyond that, you will most likely be looking for an aftermarket slide rack. Trunk racks- Fit a greater variety of vehicles that can only hold light loads such as bikes, luggage. Hitch racks- connects directly into the hitch itself. Installation can be fairly straightforward or complicated depending on the class of hitch you have. Class I hitches, for example, are not usually accommodating to a hitch rack. The class of hitch should be identified by the owner's manual. Also be sure not to exceed the suggested load capacity on these hitches as they can be easily exceeded. Cargo boxes/bags- great for putting lots of stuff in, but prevent access to the back door the vehicle. Utility racks - mainly for light to heavy duty pickup trucks not suitable for cars since they are made to be screwed into the bed of a truck. Box Top Carrier- the box top carrier is usually an open grate style where loads must be secured to the rack itself via bungee cords, rope, or nets that are made for such carriers. Soft Top Carrier- the soft top carrier is enclosed, that usually is only made of cloth material so it's not advisable to use in wet weather conditions. Hard Top Carrier – the hardtop carriers also enclosed, but is made to endure all weather conditions as well as usually more aerodynamic to help with fuel economy. So, what’s the right rack setup for you? Let's be honest, most of the time the right rack will present itself because of an underlying need (i.e. that new snowboard you've had your eye on). But we hope that this article has at least broadened your understanding of what's available to you should one of those needs arise. If you're looking for a rack to accommodate your new or used car(s) in the Olympia Washington area, turn to the experts at the Olympia Automall, your source for all things automotive! 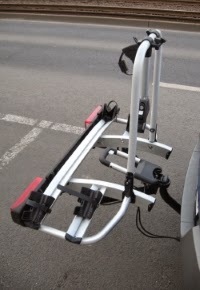 Below understand the reason numerous drivers are going for hitch attach motorbike shelves, how they can help you save funds as well as what exactly the very best brands are, for more information click here Hitch bike rack review site.